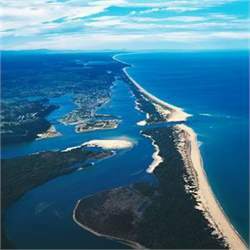 Lakes Entrance, Victoria, Australia, is a favourite holiday resort since the turn of the century, is edged by the 90 Mile Beach and is home to the largest fishing fleet in Australia. Dine on the freshest seafoods with the best local wines. The weather is mild mediterranean type climate. There is evidence that winter temperatures can be the highest in Victoria. With a similar latitude as Palermo in Cicily, as Athens in Spain, and as San Francisco in the US, there are very few days of extreme heat or cold, making Lakes Entrance an ideal spot all year round. International Flights from nearby Melbourne will allow you to visit this beautiful spot. The Gippsland Lakes is the largest inland waterway in Australia; The 90 Mile Beach begins at Lakes Entrance; Lakes Entrance is home to the largest fishing fleet in the Southern Hemisphere; The Gippsland Lakes are one of the most signifant refuges in Australia for waterbirds. The Lakes provide feeding, resting and breeding habitat for many species. Hire a boat - or take a cruise to explore Australias largest inland water ways and remote coastal parks and rivers. Walk across the footbridge - at Lakes Entrance to the Ninety Mile Beach and follow the walking track to the Entrance itself and learn its history. Fish - by river, lake or ocean and go prawning in season. Play a round of golf - on one of the scenic courses with water views. Dine al fresco - at a lakeside restaurant or pub and watch the sparkling waters of the lakes. Visit Metung - Quality resort-style village set on the shores of Bancroft Bay on the Gippsland Lakes. Extremely popular with sailing fraternity, Metung also offers and excellent lifestyle for younger families and retirees. 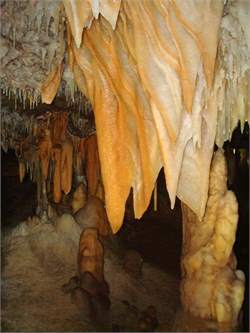 Metung is situated 20 minutes west of Lakes Entrance. A small but excellent choice of restaurants and cafes.